Let’s address the elephant in the room here; yes, this preview is VERY late. Long story short, I’ve been working on a very big and busy job with long work hours which has prevented me from sitting down and getting this done. However, since starting this website I’ve not missed a single preview and I’ll be damned if I start now! Plus, most of these movies should STILL be playing in movie theatres so there is a chance that this write-up is useful for many people. Either way, after ‘Captain America: Civil War‘ the days are getting longer and the temperature is getting hotter. Let’s see what offerings we have in May 2016 to persuade people to spend their summer days inside a dark room! 2014’s ‘Bad Neighbours‘ was one of the biggest sleeper-hit comedies in recent memory. Many people naturally expected a Seth Rogan comedy to do well, especially after ‘This Is The End‘ but when ‘Bad Neighbours‘ opened above ‘The Amazing Spider-Man 2‘ in its second weekend people really took notice. Hoping to repeat that strategy again, ‘Bad Neighbours 2‘ is opening a week after ‘Captain America: Civil War‘ and is bringing in some help with Chloë Grace Moretz who leads a Sorority against Seth Rogan, Rose Byrne and Zac Efron. The worst thing a comedy sequel can do is be a carbon-copy of the original and the best sequels advance the story and break new ground. Judging from the trailers, it would seem that ‘Bad Neighbours 2‘ is going for a bit of both. We have the airbag gag, we have a lot of partying and drugs etc. but we also have Efron working WITH Rogan and Byrne to shake up the dynamic (though I’ve been told that the plot actually has Efron teaming up with Moretz which would be very disappointing). But this looks fun and the gender politics seems pretty interesting from what should be a raunchy comedy. I doubt lightning will strike twice, but the storm should be funny. Director Stephen Frears continues to surprise me, despite having an acclaimed career lasting decades. After hitting a career low-point with ‘Lay the Favourite‘ in 2012 he’s come back swinging with incredible biopics like ‘Philomena‘ and ‘The Program‘. Now, he’s going to give us a biopic on Florence Foster Jenkins who is thought to be the worst singer in history. 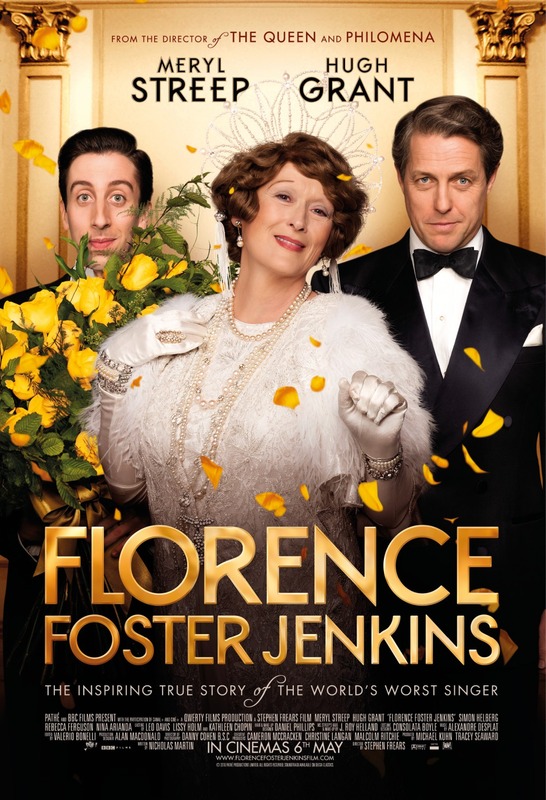 Of course, we have Meryl Street in the titular role but reviews have been glowing concerning Hugh Grant as her kinda-sorta-maybe partner and also Simon Helberg who plays Florence’s pianist (which just shows how good Helberg can be as soon as he gets away from “The Big Bang Theory”). Now, the trailers really put me off ‘Florence Foster Jenkins‘ as they did a terrible job at demonstrating just WHO she is, her lack of singing talent or her relationship with her partner and friends. However, the reviews for this movie have been glowing which shows that this could just be a marketing issue. The big problem with making a movie about FFJ is finding the balance between laughing AT her or laughing WITH her and it would seem that Frears has found that balance. I’m looking forward to seeing this and, of course, Meryl Street will crush it as she always does. Another musical biopic, we have ‘I Saw The Light‘ going head-to-head with ‘Florence Foster Jenkins‘. While that movie has Meryl Streep, ‘I Saw The Light‘ has Tom Hiddleston covering Hank Williams songs and playing his own instruments. 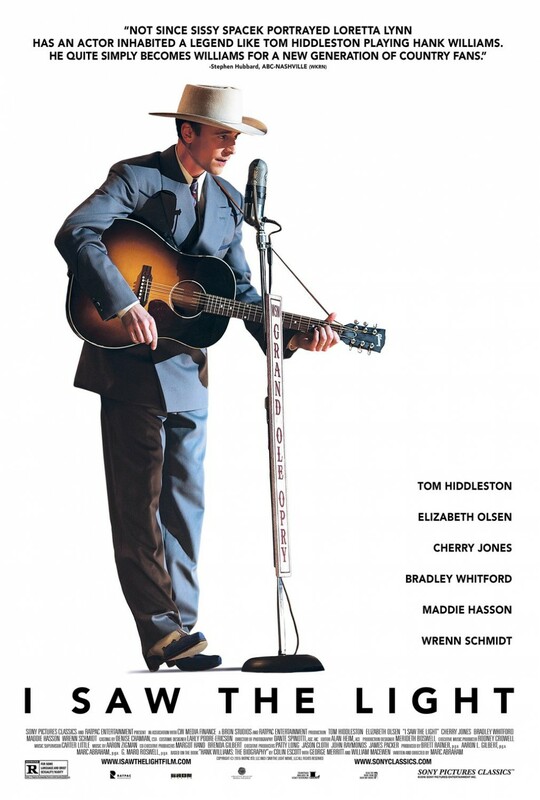 This biopic follows Hank Williams’ short-lived career before he died at the age of 29 due to drug use and excessive alcohol as well as the relationship he had with his wife Audrey Williams played by Elisabeth Olsen. This seems to be the opposite of ‘Florence Foster Jenkins‘ as the trailers have been really good but the reviews have been pretty poor. ‘I Saw The Light‘ has been heavily criticised for being very generic and is paint-by-numbers, not embodying the free-spirit that Hank Williams gave to his music. However, Tom Hiddleston has been given universal praise for his performance and it’s been amazing seeing him put so much work into promoting the film. He’s a terrific sport, but it would seem that the film isn’t quite worthy of him. Written in 1719 by Daniel Defoe, “Robinson Crusoe” tells the story of a man whose ship is attacked by pirates and he is left stranded on a desert island for 30 years as the only survivor, save for the Captain’s dog and two cats. Over the years he uses tools as a means of surviving and hunts animals whilst growing food. He must also survive murderous cannibals and come to terms with his own existence. It’s deep material and ripe for adaptation. So what’s a movie studio to do? Make a 3-D, children’s movie about Robinson Crusoe…from the point of view of the animals. 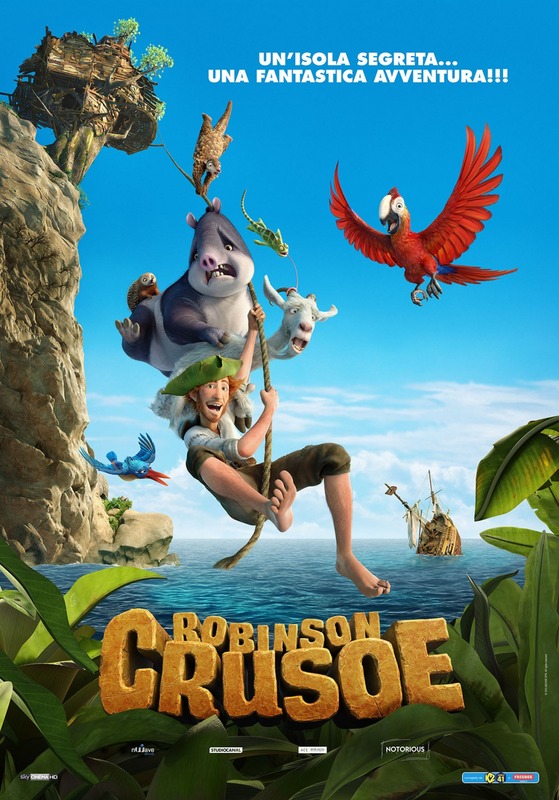 Coming from a Belgian/French animation company, ‘Robinson Crusoe‘…just looks really bad and misjudged. I’m sure really REALLY young kids will enjoy the colours but…’Zootropolis‘ is still playing in theatres. Just have some perspective, folks. Hollywood is REALLY hoping that 2016 is the year that video game to movie adaptations become the next big thing to rival comic book movies. There have been a few half-hearted attempts at the transition but now studios are starting to commit their resources to finding talented directors, big-name actors and hefty budgets to the sub-genre. 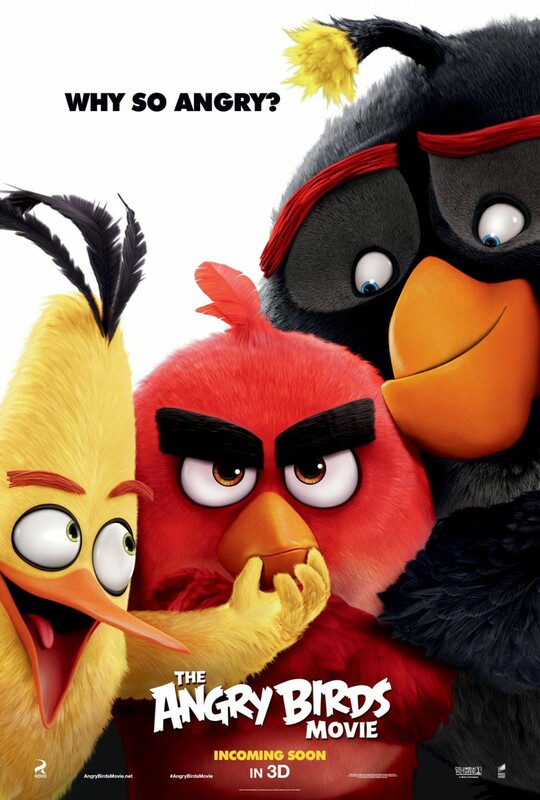 The animated versions are coming first with ‘Ratchet and Clank‘ coming and going last month to poor reviews and an abysmal box-office result and now Sony Pictures’ Animation department is trying ‘Angry Birds‘ based off the hugely successful mobile game franchise. Even though it feels like this movie is coming out around 3-4 years too late, I admire Sony’s ambition at getting on board “The Simpsons” writer Jon Vitti as well as big actors like Jason Sudeikis, Josh Gad, Peter Dinklage, Danny McBride, Bill Hader and more to do the voices. And you know what, the trailers haven’t been half bad with some strong comedy (I’ve always loved the moment Red kicks the young bird instead of the football) and the animation looks gorgeous with beautiful, vibrant colours on display. Oddly enough, I think this could be quite good if the first-time directors can stick the landing (pun intended). The original ‘Cabin Fever‘ from Eli Roth was released 14 years ago. So of course it’s gonna get re-made with Roth acting as Producer. Honestly, I didn’t even know this remake was happening until I started putting this preview together. So…yeah, the original was okay. This one looks pretty pants and the reviews have been terrible. I don’t think you’re missing much from a DVD release or maybe just avoiding altogether. I think myself and Richard Linklater have a hard time understanding each other. His bigger, passion project films kinda land with a resounding “meh” with me like ‘Boyhood‘, ‘Fast Food Nation‘, ‘Me and Orson Welles‘ etc. But the films that he seems to disregard in retrospect like ‘School of Rock‘ are actually favourites of mine (keep in mind, I’ve not seen the “Before” Trilogy). So keep this in mind when I say that ‘Everybody Wants Some! !‘ kinda looks garbage. I’m sure Richard Linklater loved hanging with the jocks at high-school in the 80s but it’s not something I really enjoy. And when Linklater is working with a “slice-of-life” structure as opposed to a three-act structure it often feels like his films are directionless and kinda boring. According to the trailers and reviews, this just looks like a movie that really isn’t for me. If it’s your thing, have at it, but this really isn’t my jam. One issue with doing a preview like this so late is that I’ve seen some of the films being previewed already. So let’s go with an expectations/reality approach. 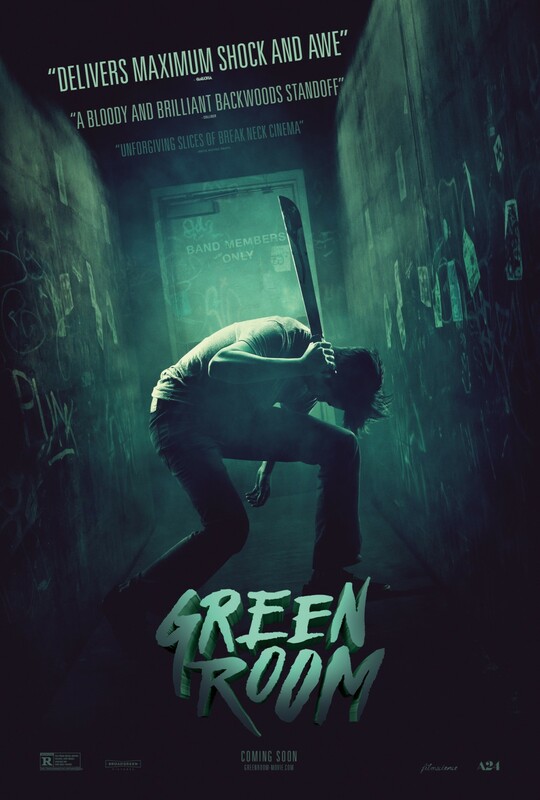 Expectations: I’d heard great things from critics about ‘Green Room‘, I’m aching for a good horror/thriller movie and I was intrigued about Patrick Stewart playing a Neo-Nazi. When it comes to warfare most stories don’t just take place on the battlefield and not all stories are grim and depressing. Obviously, there’s a morbid undercurrent but war movies tend to make the best black comedies (‘Dr. Strangelove‘, anyone?) and while ‘Whisky Tango Foxtrot‘ is not trying to be ‘Dr. Strangelove‘ there is a lot of potential to be mined here. The true story follows a journalist who is assigned to field-reporting in Afghanistan due to being older and childless and over there she becomes addicted to the “fix” of getting more and more dangerous stories. 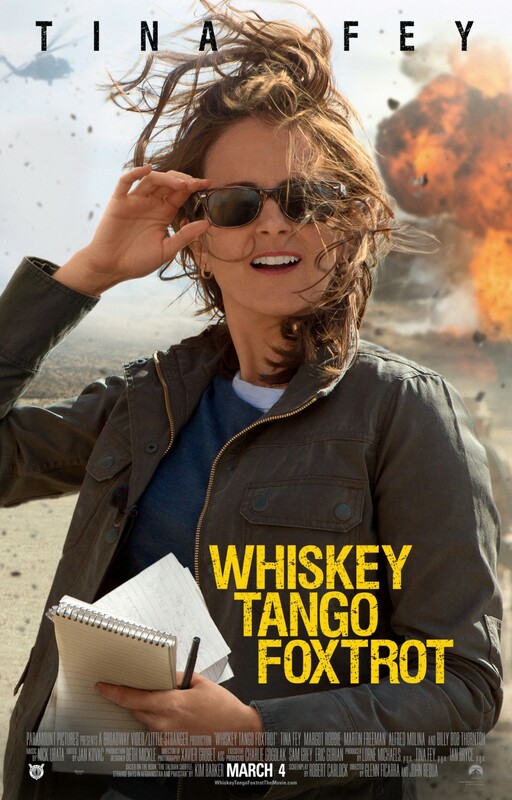 I really like the look of ‘Whisky Tango Foxtrot‘ (based off the memoir “The Taliban Shuffle: Strange Days in Afghanistan and Pakistan” by Kim Barker) and I love the people involved, including Tina Fey who usually gets heavily involved with projects I end up gravitating towards. We also have Margot Robbie, Martin Freeman and Alfred Molina in the cast and the trailers seem solid. This looks like a fun time with a slightly sour edge. The “X-Men” franchise is in a very strange place right now. It’s been a constant for the 21st century thanks to a 2011 prequel/reboot, then a 2014 sequel/prequel/reboot with the original cast from the first set of movies and now it’s continuing the franchise with its own sequel/prequel whilst rebooting cast members and we also had ‘Deadpool‘ a few months ago which made a massive amount of money despite costing a fraction of the budget previous X-Men movies have. It’s with this set-up we find ‘X-Men: Apocalypse‘ which takes place in the 1980s and follows the X-Men led by James McAvoy’s Charles Xavier facing their most powerful foe yet; Apocalypse played by Oscar Isaac. 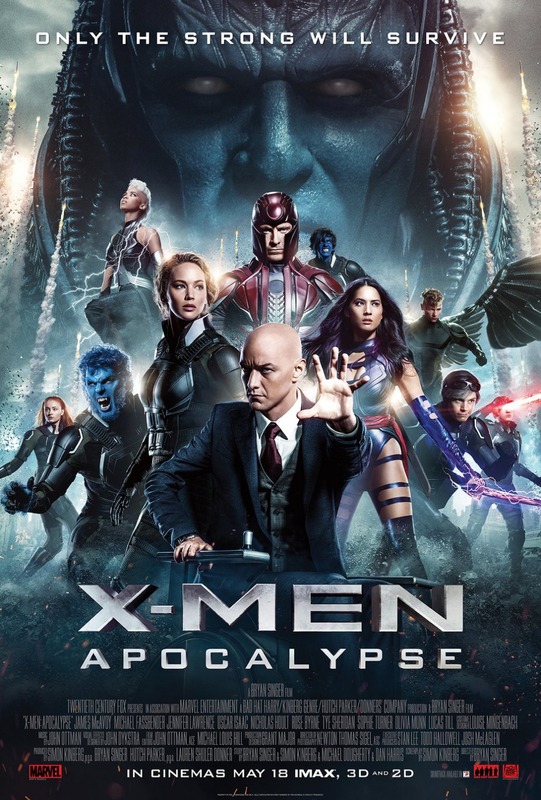 It’s strange because it felt like ‘X-Men: Days of Future Past‘ was such a good, definitive end to this franchise yet it’s going to keep chugging along and as a result this new movie doesn’t seem to have the hype that previous comic book movies this year had. Hopefully it turns out to be a good-time blockbuster and deliver on its promises that it’s the biggest X-Men movie yet. 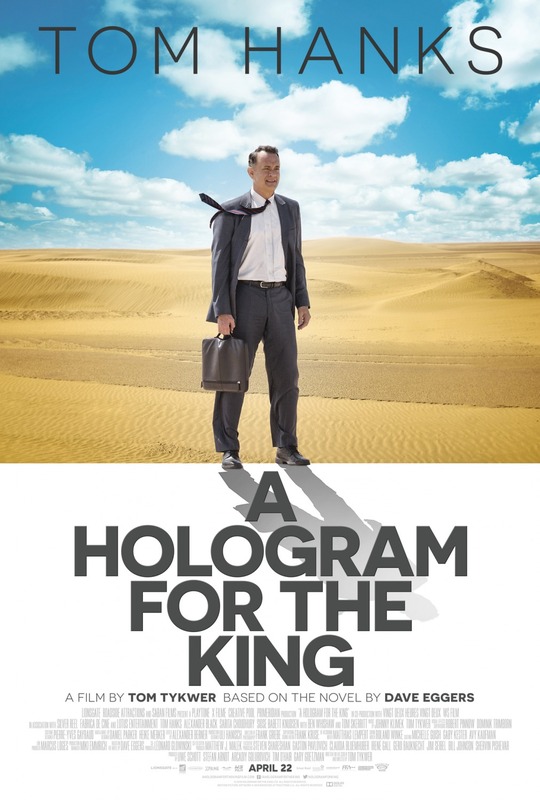 Many people know ‘A Hologram for the King‘ as “that Tom Hanks movie that he was promoting on that awesome episode of “Desert Island Discs”. Personally, I know it as “that Tom Hanks movie with one of the worst trailers I’ve ever seen”. I’ve put a link to that trailer below if you’re curious. Seriously, it even has the cheesy “movie-trailer voice” guy. Anyway, the movie looks like a “White person goes to exotic location to get confused and finds themselves” kinda deal. Tom Hanks adds credibility and I’m told that the book written by Dave Eggers is actually a fine read so this could be okay. That’s really all I’ve got. Sorry. John Carney seems to have the market cornered on Irish Films about music. And good for him, because that’s a pretty awesome niche. Especially when it results in really enjoyable films like ‘Once‘ and ‘Begin Again‘. 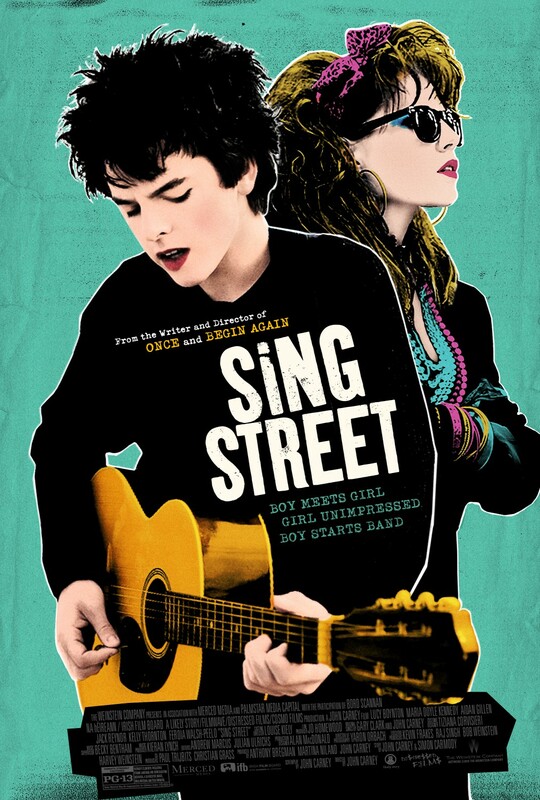 Now Carney is back with ‘Sing Street’ which tells the story of a boy in Dublin in the mid-80s who meets a girl who wants to be a model for a music video. So, naturally, the boy says he’s part of a band and that she can feature in a music video for them. Now he just needs to start a band. Perfect. This does sound like a classic 80s story, the trailers are a lot of fun and Carney has a great track record. Also, Ireland tend to make pretty terrific movies so lets show that industry some love! In late 2009/early 2010 two huge movies were released; ‘Avatar‘ and ‘Alice in Wonderland‘. Both have an awful lot in common in that they were big, hyped, special-effects heavy blockbusters with 3-D premium ticket prices meaning they made way more money then they ideally should have whilst also really lacking in the story department. Another thing both films have in common is that they’re getting sequels even though no one is asking for sequels and neither film has left any sort of cultural footprint other then their financial success. 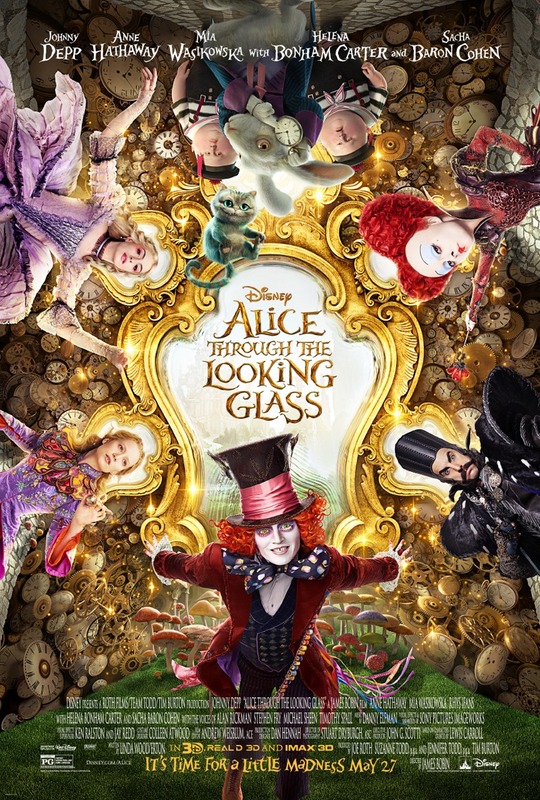 Yeah, despite Tim Burton’s ‘Alice in Wonderland‘ making over a billion dollars (the 6th film in history to do so at the time) no one talks about it and it seems that no one is excited for this forced sequel. Most of the cast return with Sacha Baron Cohen playing Father Time and we have ‘The Muppets‘ director James Bobin replacing Burton. Trailers have been “meh”, reviews haven’t been good and I think despite Disney’s brilliant success with ‘Oz the Great and Powerful‘, ‘Cinderella‘ and ‘The Jungle Book‘, when it comes to the writings of Lewis Carroll, Disney have completely over-estimated their abilities. Pink’s cover of “White Rabbit” sounds awesome though. Hear it in the trailer below. In times of civil unrest, it’s incumbent upon media to reflect the thoughts of the common-person and after the success of last year’s Oscar-frontrunner ‘The Big Short‘ we have the Jodie Foster thriller ‘Money Monster‘ which tackles the plight of the 99%. There’s a slight amount of irony when it comes to millionaires making media saying how bad rich people are but hey, what you gonna do? 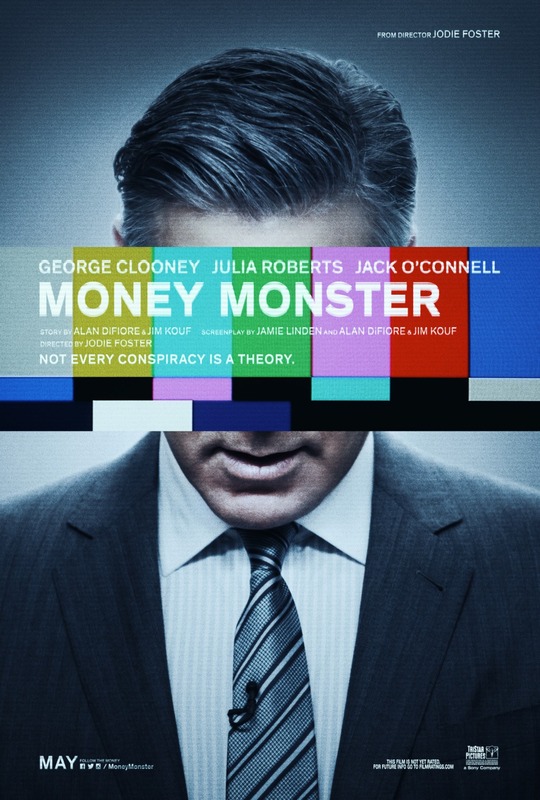 Well, hopefully you don’t do what Jack O’Connell’s character does in ‘Money Monster‘ as he takes hostage financial guru George Clooney live on TV with Julia Roberts playing the floor manager during the broadcast. This looks like a really solid film that I’ve been quite excited for in terms of 2016 original films. While Jodie Foster has mostly directed some indie films and episodes of TV shows (“Orange is the New Black” and “House of Cards”) I’ve wanted to see her try some more mainstream fare. Reviews have been decent, though politically charged, but what do you expect from the subject matter? 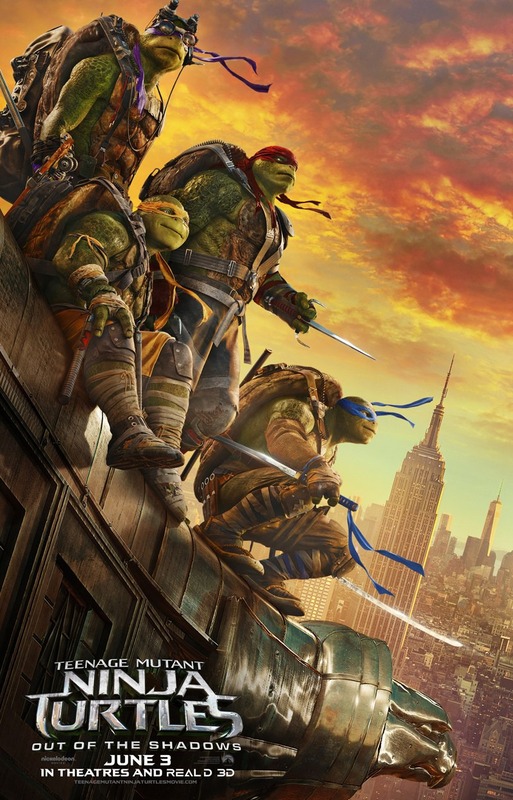 The 2014 reboot of ‘Teenage Mutant Ninja Turtles‘ is not remembered particularly fondly, even if it’s not considered a ‘Transformers‘-style disaster in regards to nostalgic-reboots (in fact, it was the very first movie I reviewed on this website). That reboot was unnecessarily dark, shoddily made and you could have replaced the four brutish turtles with any nostalgic 80s team members and it likely would have been exactly the same film. But now, with the benefit of hindsight, Platinum Dunes have ditched director Jonathan Liebesman and replaced him with ‘Earth to Echo‘ director Dave Green to go for a very different approach. 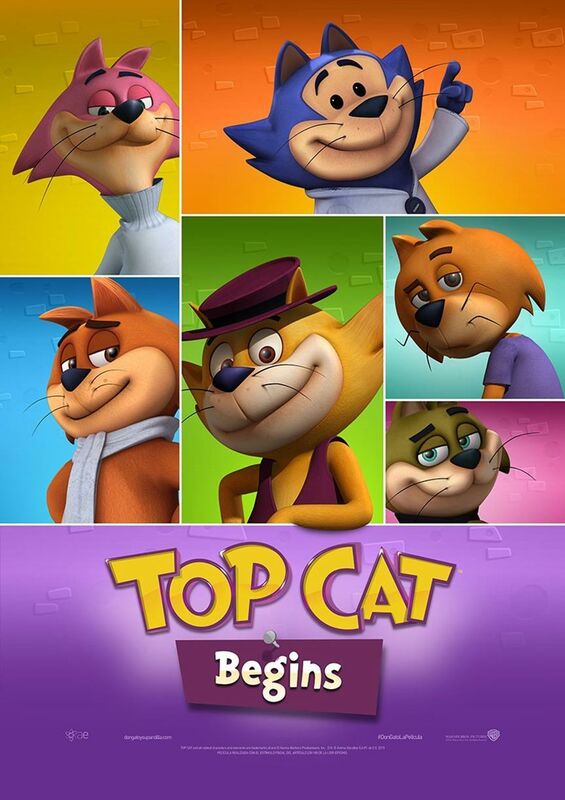 From the trailers, this sequel looks a lot like a soft-reboot with a change in tone, style and direction to be more in-line with the 80s cartoon series that is fondly remembered. We have a more faithful Shredder, Bebop, Rocksteady, Krang, Casey Jones, Baxter Stockman as well as a more colourful aesthetic. Too bad Megan Fox is still on board as April O’Neill, but I guess you have to take your victories where you can get them. Honestly, this movie could go either way. It could be pants like the first one, or it could be a substantial improvement. All I know is that if Nickelodeon can make a great, low-budget TV series for a new generation, Michael Bay and his creative team can spend $100M+ to make one that’s AT LEAST passable. …sorry, I feel like I’ve been here before. 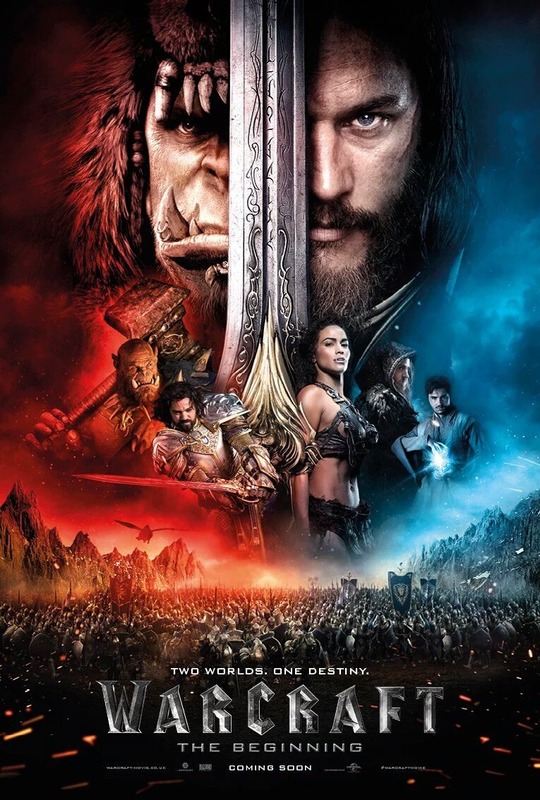 Anywho, ‘Warcraft‘ (subtitled “The Beginning” in the U.K.) is considered to be the first big, true attempt to make a video game movie (if you don’t count ‘Prince of Persia: The Sands of Time‘) with a $200M budget and big-name talent on board including director Duncan Jones (‘Moon‘ & ‘Source Code‘). Acting as an origin story for the “Warcraft” video game series, this movie pits humans and orcs against each other in a battle to save the world as they know it. While I’m hoping this movie succeeds, reviews haven’t been very good so far with it currently sitting at 19% on RottenTomatoes and it’s predicted to flop during its opening weekend with an estimated $25M take. I’m looking forward to this movie in terms for what it could do for the industry (I’ve not been a fan of the “Warcraft” games and I know next-to-nothing about them) so I’m hoping against hope that this turns out good. It’s strange, after ‘Captain America: Civil War‘ we have a month which still feels like a calm before the storm. There’s not a lot here that really jumps out at me as exciting. I dunno, it feels like after the big bang that was ‘Captain America: Civil War‘ that there’s nothing on that scale or anticipation level to follow. It’s an odd feeling. Anyway folks, what are you folks looking forward to this May? Are there any other releases that I missed that you can’t wait to see? Be sure to sound off in the comments section below!